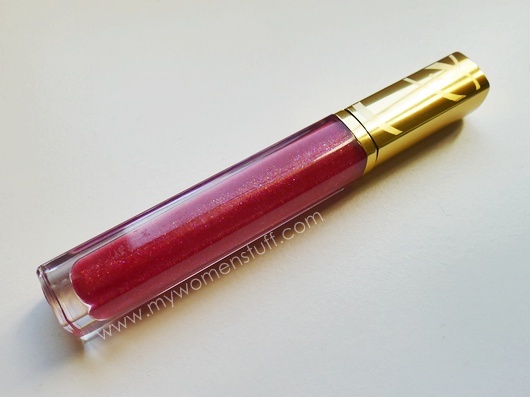 Estee Lauder revamped their Pure Color lip glosses last year. I have this one I’ve been using off and on for a few months now, but never being quite able to decide if I like it or otherwise. I do love it in the tube. It is such a pretty sparkly colour. Star Ruby is its name. Actually it says Star Ruby Sparkle, because its one of the more sparkly glosses. I like the slim tube and the cap with the EL logo on it. Tom Pechaux has done a lot to make Estee Lauder makeup more modern and current! The applicator is a straight sponge tip applicator that is quite pliable. 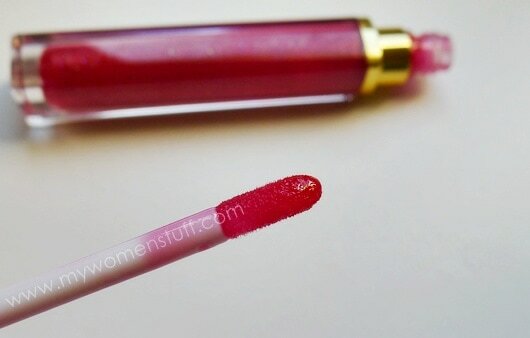 It reminds me of the ones used in the Revlon Colorburst lipglosses. Meh… where’s the colour! 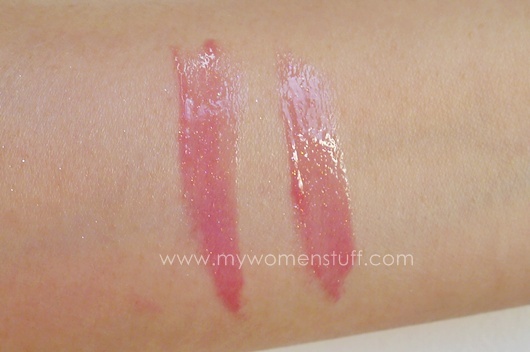 I am a little disappointed that the Estee Lauder Pure Color lipglosses swatch sheer. On my arm, you can just about see the colour – a very pretty pinky red with fine shimmer. However, on my rather pigmented lips, the colour disappears somewhat. Applied on my lips, Star Ruby gives a hint of colour, and LOTS of shine. I tend to wear it when I want just a hint of colour (or I’m too lazy to find a lip colour to match my look). I also find myself having to reapply often – it barely lasts me 2 hours. On the upside, its not sticky and it does feel quite light. There is that signature Estee Lauder lip product smell – I think its fig? – but it dissipates, thank goodness. Estee Lauder Pure Color Lipgloss is available at all Estee Lauder counters. I cannot remember the price. NEXT POST: MWS Weekend Poll No. 7 : Heatwave! I have the same colour as yours in this post! But I have yet to open it up for use (I have too many lip glosses).. I found that Dior Lip Gloss stays on longer.. Sorry dearie, without sheer looks better on you.